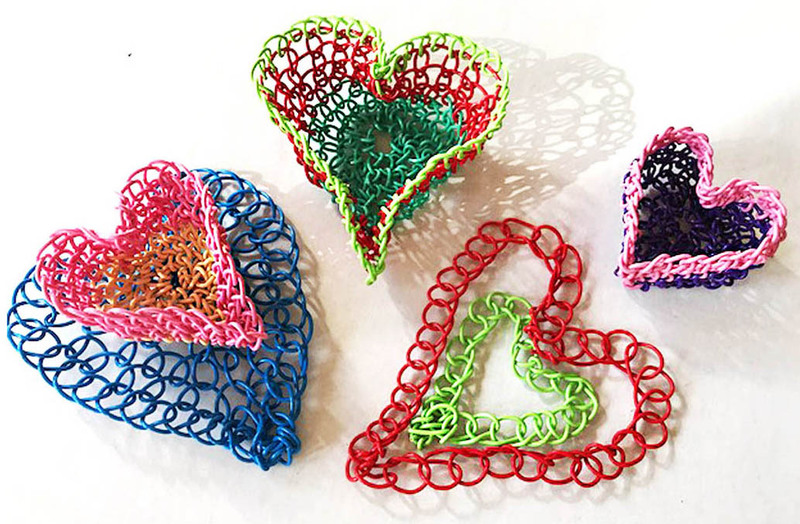 Crochet a wire basket in the shape of a heart. See How-to video or see crochet vase lesson to learn how to crochet with Twisteezwire. 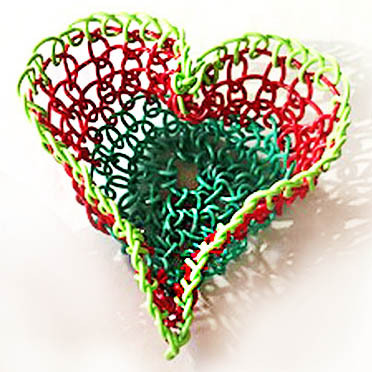 Follow lesson for Twisteezwire crochet vase. Once you have formed a circle that is at least 3″ in diameter, fold the edges in. Then pinch and mold a heart shaped basket. This is so easy!